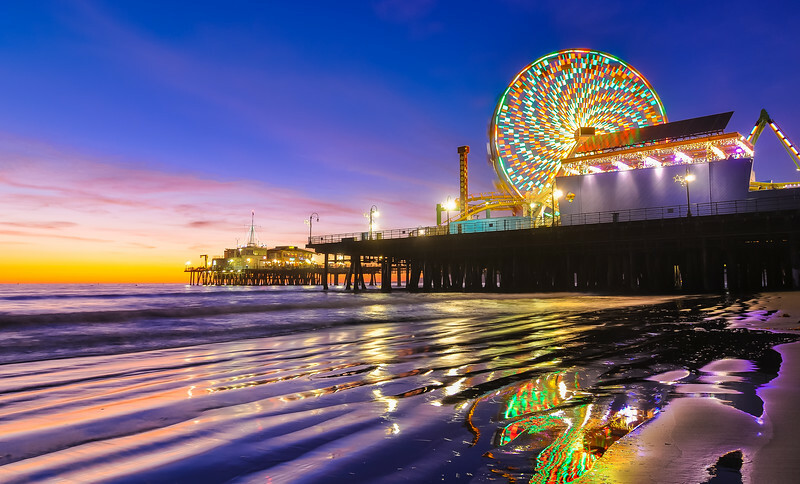 The view of popular Pacific Park on Santa Monica's famous pier is highlighted in this print. Our most popular issue piece to date. Please contact with your interest. 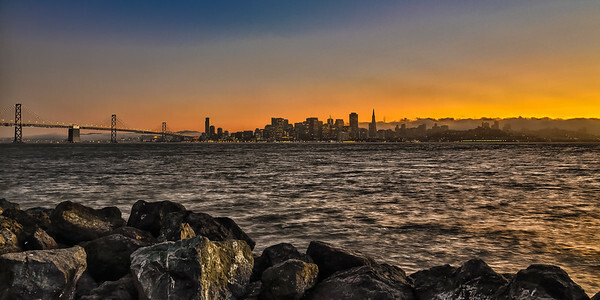 "San Francisco On the Rocks"
A cold July evening as the sun sets behind the City by the Bay, while the fog rolls in and the city lights come on, one by one. 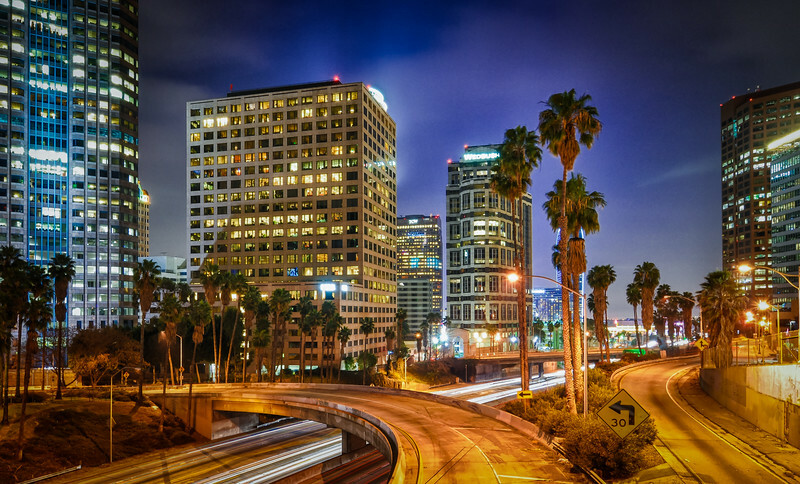 A nighttime long exposure of Downtown Los Angeles overlooking the 110 Harbor Freeway, with the Staples Center and Nokia Live in the distance. This has proven to be another sought after piece from the artist. 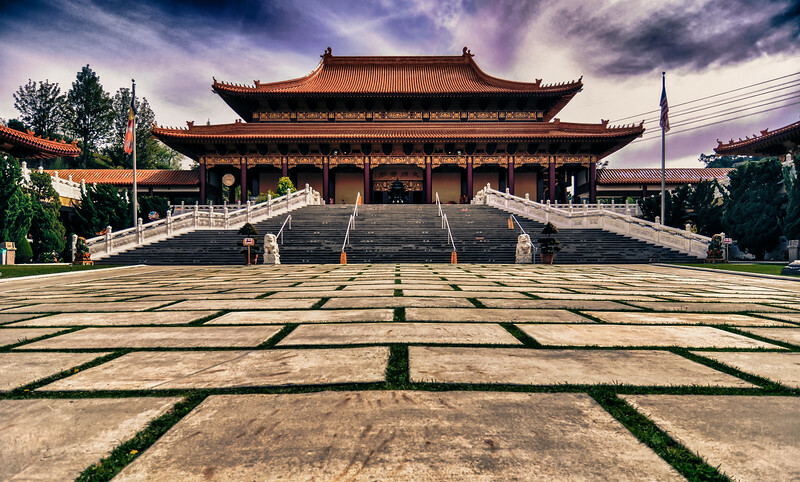 This capture of the Fo Guang Shan Hsi Lai Chinese Buddhist Temple in the hills above Hacienda Heights includes elements of long exposure as well as multiple image high dynamic range photography to emphasize the detail in the Temple, along with the unusual weather formations overhead. 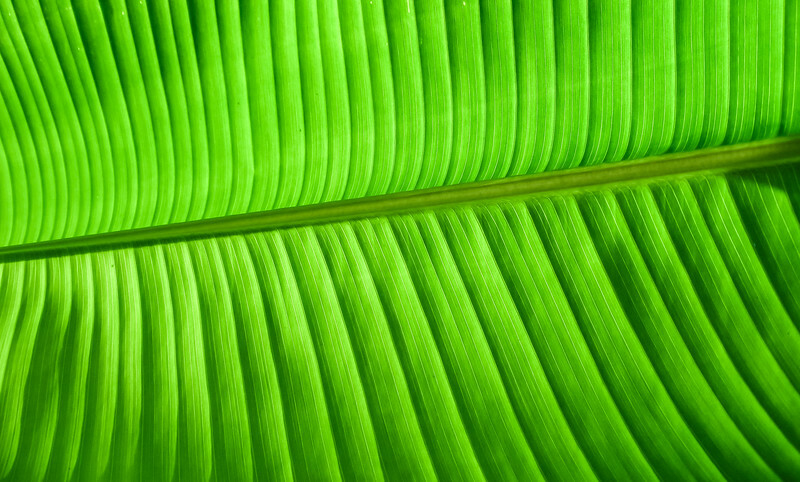 Up near the Pali, in the heart of the Nu'uanu Valley, these majestic leaves gather the warm tropical rays of the Sun. 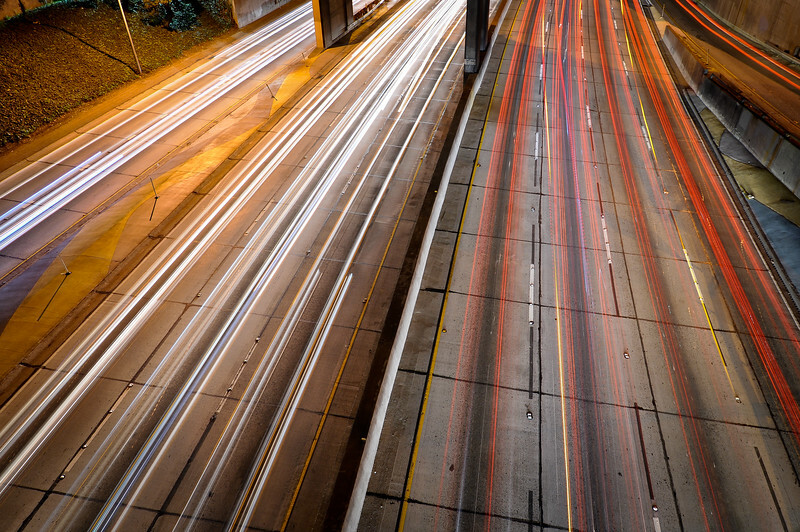 Overlooking the busy 110 Harbor Freeway from Downtown Los Angeles. One of a few cities where traffic is present, even during late night hours. 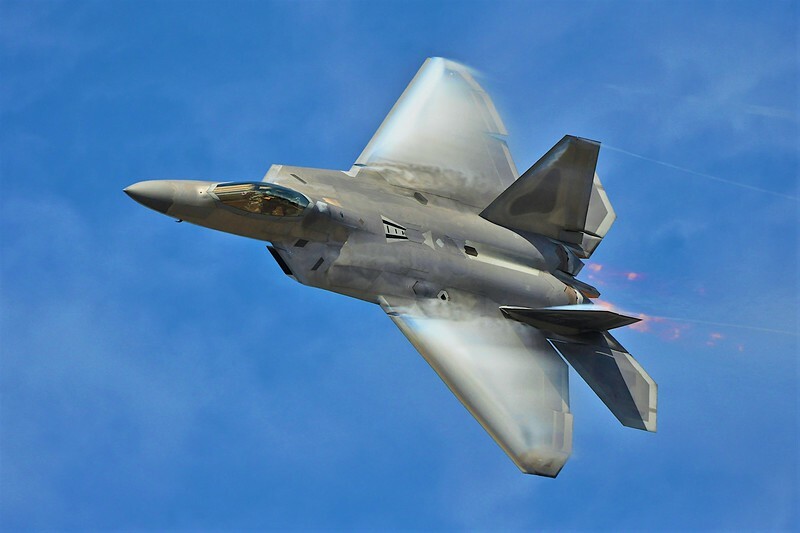 An F-22 from Hickam Air Force Base creates water vapor over it's wings during a maneuvering exhibition in Hawai'i. 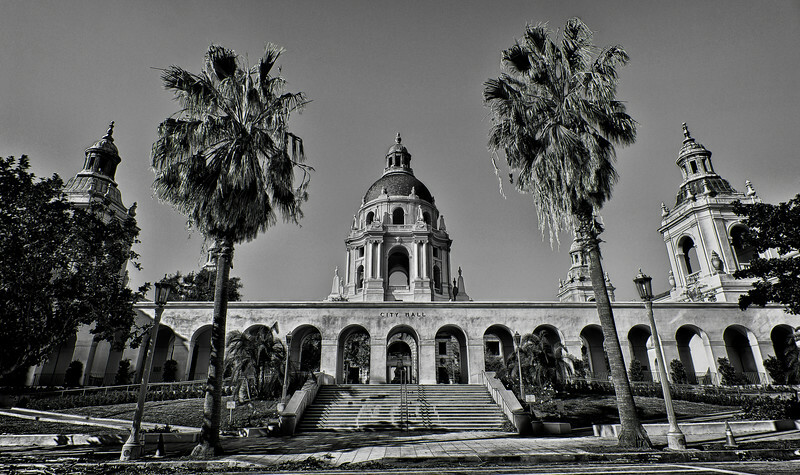 The beautiful architecture of the City Hall building in Downtown Pasadena captured on a quiet Sunday afternoon. A study in Black and White.